Attacks on TV Licensing enquiry officers have more than doubled in the last year. In the last financial year, 89 enquiry officers were victims of physical assaults by members of the public. This is up from 37 in the previous year and included several instances in which staff were admitted to hospital. In total, 360 enquiry officers faced physical and verbal assaults in the last financial year, including attacks across Northern Ireland. Many officers have had death threats made to them after knocking on doors, while others have been punched and spat at, had TVs thrown at them and also been filmed whilst being abused, with clips posted on YouTube. 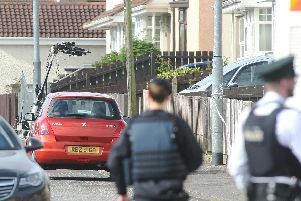 In a shocking incident in Northern Ireland, an officer said: “I’ve been in the job 20 years. Even after 20 years the job is different every day and it never fails to surprise me. “Last July I was assaulted. I was punched in the face by the occupier, followed back to my car where he tried to smash the car window, then followed me for five miles. Colin Jones, TV Licensing Field Operations Director, said, “The threats our officers can receive when they are just trying to carry out their role is completely unacceptable. Those who attack them seem to forget they are human beings. Supporting the campaign is the Northern Ireland Independent Retail Trade Association. NIIRTA Chief Executive, Glyn Roberts, said: “We at the Northern Ireland Independent Retail Trade Association condemn these despicable attacks on the enquiry officers who work on behalf of TV Licensing.